Seriously people, if there is anyone out there still not reading the Spanish Architectural Digest, you are really missing out! Month after month it delivers gasp out loud stunning interiors. The latest issue is certainly no exception. I’m totally in love with the apartment featured by Madrid based designer Estefanía Carrero – its just so chic. Check out her website or the magazine for more pics! All photos by Ricardo Labougle for AD España November 2009. 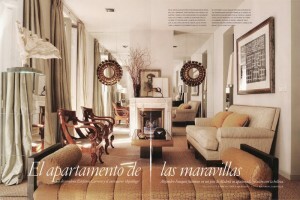 I have to agree, spanish architectural digest is amazing -the US version could learn a thing or two. oh wow… those CHAIRS!!! 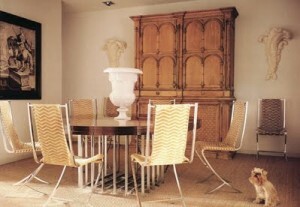 such a fun addition to a traditional dining room. LOVE.